I sit in a circle with my elders. These men and women have been my friend for decades now. We are here to renew our vows. Tears begin to cloud my vision. I wish them to remain unseen. A vision enters my mind. I see a great tree vast with branches. Some are tipped with fresh growth. Some are full with the greenest of leaves. I am one of those green leaves. My mind can not comprehend how I got here, yet I know that I have. I cling to my branch as the breeze rustles me and my comrades. My veins flow with the same sap that runs in theirs. My vision is drawn to a golden leaf that sits across the room from me. Her husband is holding her hand. The breeze gets a bit stronger. There is a snapping sound, that only the spirit can hear. The golden leaf breaks free and is carried on the wind. Gliding alone, it lands upon the water of a small rocky river. Carried along, the current is now its guide. Its substance will nourish new life. This golden leaf was my sister, was my elder, was a dear friend. I know that she will soon leave, the world of our family tree. My spirit eyes look out at this room branch filled with friends. 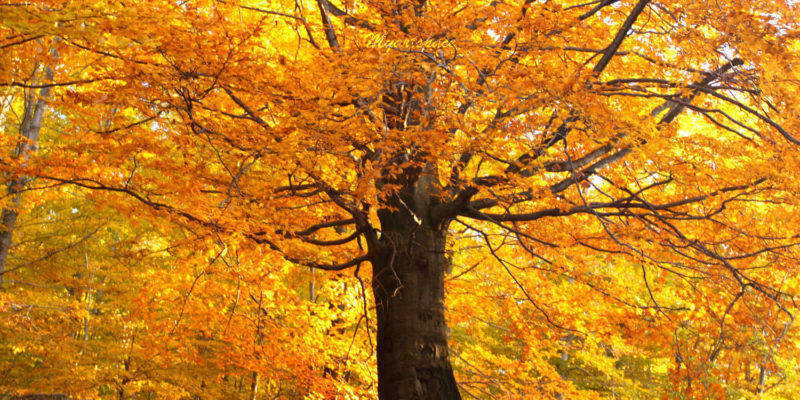 Many are golden leaves in various stages of transition. Some more green or golden than others. Some more red than gold. Some more purple than green. Crystal clear awareness comes to me. My heart is breaking in vast grief, but also gratitude. The awareness that I will live long enough to witness the passing onto the wind, of so many of my greatest teachers and friends, cuts deep. Time will change their colors quickly. Soon they will begin to drift away into the current of the river. Some days it will be only one. Others it will be many. The winds will keep coming. I can never stop this. It is out of my hands. I am helpless and on my knees. I am in love for all they have given me. Do they know that they saved my life? Do they know how I value them? Journey well Grandmothers and Grandfathers. I will sing your songs into the wind until then. I am still green, but unlike my kin. I hear the current of the river. I know where my roots are. Someday, I will be someone’s golden leaf.